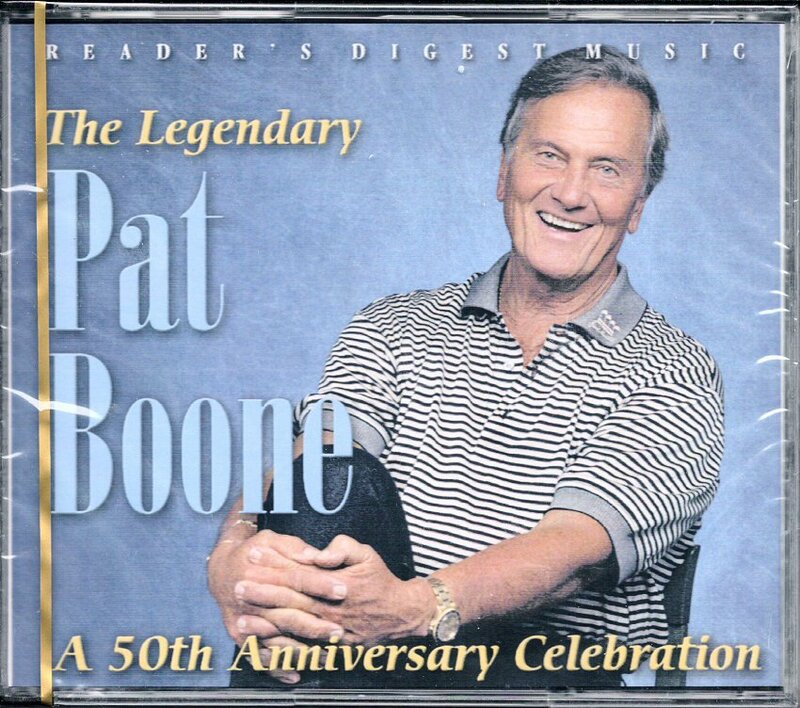 This is a 4 CD, 53 track collection of Pat Boone’s greatest hits from Reader’s Digest Music. What a wonderful retrospective! This one has a little bit of everything. Pop hits, patriotic songs, hymns and even Christmas tunes, all made classic by 1950's singing icon, Pat Boone. You get his original chart-topping hits from the '50s like "Ain't That A Shame", "Love Letters in the Sand", "Tutti Frutti", "I Almost Lost My Mind" and "April Love" plus selections from Pat's later career including patriotic songs like "America the Beautiful" and "This is My Country" and spiritual hymns like "Blessed Assurance" and "Peace in the Valley"
Always a religious man, Pat Boone refused to record songs or take movie roles that would compromise his beliefs. The result is this collection of uplifting and wholesome music you'll be proud to play in your home - from the comfort of your easy chair or at your next gathering of family and friends. This 4 CD set retailed for over 40$ when it was first offered by Reader's Digest Music. But now, it's out-of-print. This is a rare opportunity to add this one-of-a-kind treasure to your music library. This set is Factory Sealed and Brand New! Packaged in a multi-CD jewel case box. Don't let this comprehensive collection pass you by. CONDITION: Factory Sealed. Never Opened, Never Played. Note: There is a small punch out hole on the spine, but this will not effect the CDs or the jewel case. (See scans above). Thanks for visiting old friends. Please be sure to check out the rest of our store for other great Reader’s Digest music collections.